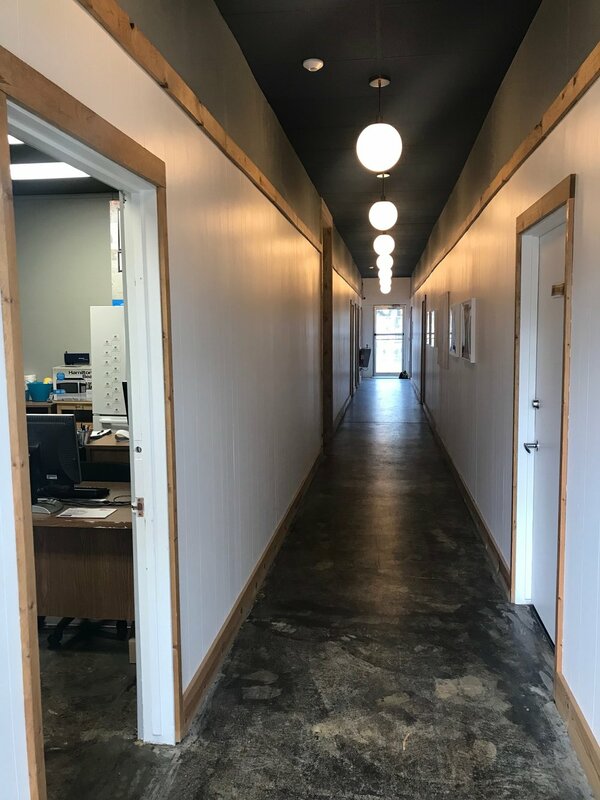 This office space is 500 sq/ft and has hallway access conveniently off of the mail Pine St. entrance. This space is 500 sq/ft and all utilities and fiber internet are included in the monthly rent of $600. Please let us know if you would like to come by and see the space. ** Some photos content current tenants items but this space will be empty as of May 2019.